Marinox Vitamin E 400 Premium is produced from selected pumpkin seeds oil and contains natural Vitamin E, which provides the highest biological value. Vitamin E is one of the most important antioxidants for the cell membranes. Vitamin E contributes to the protection of cells from oxidative stress. 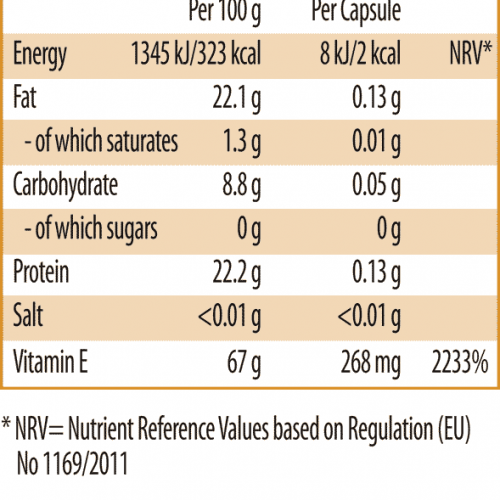 Marinox Vitamin E 400 Premium contains no genetically modified substances. D-alpha tocopherol , bovine gelatine, glycerol, water. 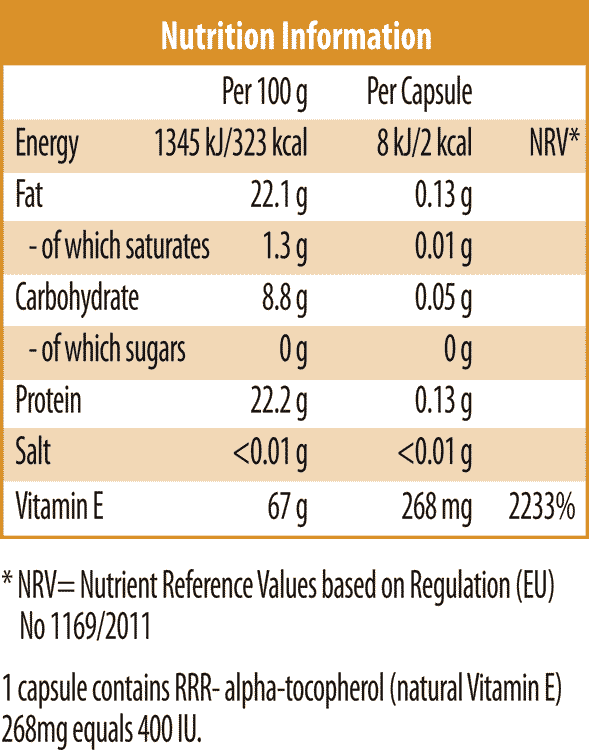 1 capsule provides 8kJ/2kcal and <0.01 bread units (BU). 1 softgel capsule contains 400 IU Natural Vitamin E from non-genetically modified pumpkin seed oil.